A first-time headteacher transformed a primary school ranked among the worst in the country in a remarkable way. 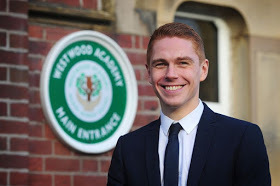 Westwood Academy in Oldham has been dramatically improved in just three years - thanks to Jonathan Bell. The school was rated inadequate by OFSTED in February 2014 after staff kept leaving, the Manchester Evening News reports. One class had 10 different teachers in just three months, and the school had five different headteachers in four years. The new OFSTED report from last month ranked the school as ‘good’ which is a huge improvement. In January 2015 the primary school ranked 14,360 out of 15,109 nationwide - but this January it had zoomed up the ranks to 829 out of 14,459. The rapid turn around came after Jonathan hired new staff, completely changed the curriculum and focused on the school’s ethos - believe, achieve, succeed. Jonathan, 33, said: “It was a real shame to see where the school had found itself and it was really clear that there were some really great people and fantastic kids. "Harmony Trust have five other schools and I knew that I had the support of the CEO and the other headteachers. “It was worrying, but I knew I had a really good support network there so I could focus on the teaching and learning rather than getting bogged down in the office. “We recruited really well within other schools in the Harmony Trust and from outside. I’ve only got one teacher who was here on that first day." The Academy, now run by the Harmony Trust, has a lot of students who have English as a second language and focusing on that has been a priority. The new OFSTED report said: “The school is a happy learning environment that meets the social, emotional and academic needs of the pupils. "Staff and pupils work hard together to ensure that outstanding standards of behaviour are maintained around the school.